The NHRC Wednesday sent a notice to the Uttar Pradesh government over reports that 209 primary school buildings in Etawah district are in a "dilapidated condition" due to which students are forced to attend their classes in the open. The National Human Rights Commission observed that it is the duty of the state to ensure that there should be no hurdle for the students and teachers in the process of imparting education. 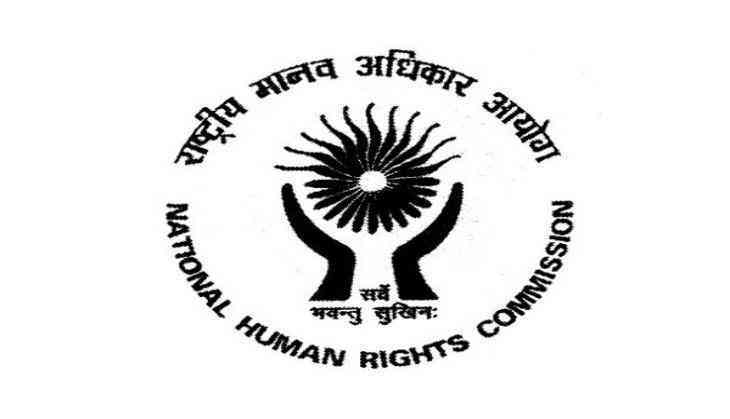 "The NHRC has taken suo motu cognisance of a media report that 209 primary school buildings in Etawah district are in a dilapidated condition due to which students are forced to attend their classes in open as they are scared to sit in the rooms," it said in a statement. Reportedly, the school managements have made "several verbal and written complaints" to authorities in the state Education Department, but the repair work has "not been done, apparently due to the shortage of funds," the rights panel said. Accordingly, the NHRC has issued a notice to the chief secretary, seeking a detailed report in four weeks, along with statistics, addressing the issues raised in the news report, details about the action being taken or proposed to be taken by the state government to tackle the "grim situation". The Commission has observed that the contents of the media reports, if true, amount to gross violation of human rights of the students and the teachers. The dilapidated buildings are definitely threats to the lives of the students, teachers and other staff of the respective schools. After the amendment in the Constitution by way of 86th Constitution Amendment Act, 2002, the Right to Education has now become fundamental right under Article 21 A of the Constitution of India, it said. "Providing proper atmosphere at the time of imparting education is a Constitutional obligation upon the state and any inaction on the part of the state may amount to infringement of right to dignity and equality to the students, which are their basic human rights," the statement said. According to the media report carried Wednesday, the state Education Department had got a survey conducted, the rights panel said. "Its report reveals that there are 1,238 primary and 537 junior schools in Etawah district, out of which 209 are in a very bad condition. The blockwise details of the schools have been mentioned in the news report," it added. The schools situated at Naurangabad, Pansaritola, Police Line, Chhipaiti, Pakka Talab and Katra Shamsher Khan have been found to be in very bad condition, it said. The headmistress of the Pakka Talab Junior High School has reportedly made a request to make a concrete roof in the school, it added.